Things I am Truly Grateful for: 2 Beautiful Healthy Daughters, One Really Awesome Husband who created the feast-He Cooks-A selling point when I wanted to Marry Him! Another-Living on Lovely Lake Geneva-A Huge Blessing and Joy. And of Course-The Bird that was … [Read more...] about Happy Thanksgiving!!! I love these nifty boxes. You get 5 in a pack for $3.95. Just put together, fill with homemade or store bought, add some ribbon, and a tag and it's Done! You need these! Treat boxes (#115690, $3.95 for 5). Ribbon (#109052, $7.95 for 15 yds). So have you missed me! … [Read more...] about Treat box. Ahh-November-here’s a look for ya! I know I have mentioned-Autumn is My Favorite Season and this card is my proof. It's a Total case but with a different stamp set. 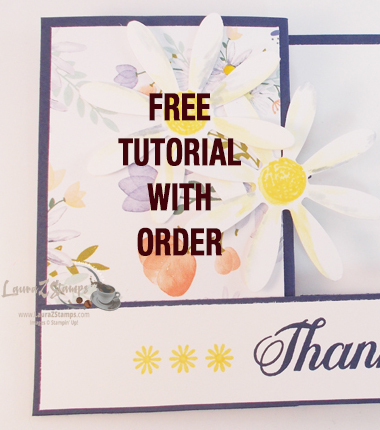 This is my take on Amy Celona's card (aka my Blog Designer and Awesome S.U. Demonstrator). She used the new leaves set but since I never … [Read more...] about Ahh-November-here’s a look for ya! All Things Spooky Class-A Night before Halloween Post! Yes, It's been awhile since I posted. Just getting ready for My Holiday Stamp Camp. I have as of this afternoon-38 People signed up-32 Payed. I will probably stop at the 50 mark. I am thrilled that people signed up-excited and surprised. Here is a Fun Post from Last … [Read more...] about All Things Spooky Class-A Night before Halloween Post! A Sneak Peek of my Holiday Stamp Camp 2009.. It's just a very little sneak peek. Yup-That's all you get. 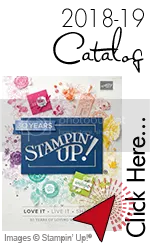 Interested?-Sign up today to come to my 12th Annual Holiday Stamp Camp for November 8th, 2009. I may add another sneak peek next week. Enjoy. … [Read more...] about A Sneak Peek of my Holiday Stamp Camp 2009.. It's a Fun Weekend project that took 10 minutes-if that- to do! It was time to use my Spooky Expressions Décor Element (#117568 $4.95) that I bought -Oh- A month ago. Don't Worry-There still is plenty of time to order this and decorate something. I love … [Read more...] about Halloween Tin. Just a Touch of Christmas. This was the Holiday card I came up with for my Stamper 6 Groups in September. Easy but just a tad bit of work on cutting out the ornaments. This was a thrill to my groups because it looks elegant but it was easy to re-create. I used the following items … [Read more...] about Just a Touch of Christmas.